Stinging nettle has been known since ancient times. Stinging nettle is among the benefits be good for muscle and joint pain, protection against prostate cancer and hair extension. When touched by bare hands, occur side effects such as itching, allergies. It must therefore be collected with gloves. Stinging nettle is used as shampoo, oil, soap and cream in many countries. Nowadays, stinging nettle is a herbaceous plant which grows during the blooming year in May and August. Emergenz called hairs contain histamine and formic acid. For this reason, it causes itching and redness when it touches the skin and stinging nettle takes its name from here. Stinging nettle contains histamine, potassium salts, formic acid and organic acids and vitamin C. It also contains vitamins A and D.
What Are Benefits Of Stinging Nettle? 1. Hair loss is one of the oldest known treatments for combating hair loss. A good scalp massage with stinging nettle oil is very effective against hair loss. 2. It is not only helpful to fight against hair loss but also helps to regenerate hair. 3. It also helps to restore lost hair and renew the original hair color. 4. You can make scalp massage with coconut oil or mustard oil which is infused with dry stinging nettle leaves and you can get rid of dandruff by keeping it in your hair during the night. 5. You can apply fresh stinging nettle leaves to scalp for dandruff treatment and massage. 6. Consuming stinging nettle tea regularly helps in the healing of many stubborn skin diseases, like eczema. By drinking a cup of stinging nettle tea a day, you will cleanse your body of toxins and beautify your skin. 7. It is used to treat anemia because it is high in terms of iron. It is known as blood cleaning properties. It is a good remedy for the regular consumption of a bowl of stinging nettle herb, for the treatment of anemia, as well as for lowering blood sugar levels. 8. Athletes can consume tea to treat muscle pain caused by strain and excessive stretching. 9. A single cup of tea made of stinging nettle leaves has a variety of health-enhancing properties, and doctors recommend it as a preventive medicine that protects against colds and flu. It can increase your body’s immunity. 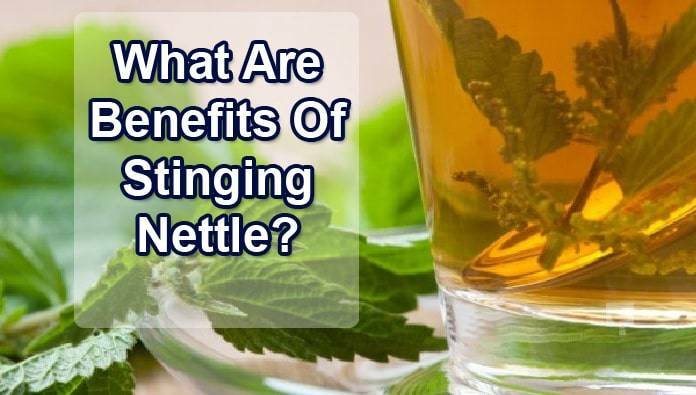 What Are Other Benefits Of Stinging Nettle? For rheumatism pain, it is recommended to gently massage by washing feet with water that contains stinging nettle. Because it has anti-bacterial properties, it is useful as a tonic, mouth and tooth care. All you have to do is to gargle with stinging nettle juice that you cool down after boiling. When used as oil, you can also benefit from the creams used for this purpose of stinging nettle herb, which is seen as helpful in the treatment of eczema. How is Made Stinging Nettle Tea? Dried leaves and flowers of this plant are used in tea making. It is allowed to infuse for 5 minutes by being added to the boiled water for four to five minutes and consumed in warm. Raspberry leaves, like echinacea or goldenseal can be prepared by mixing with plants. How To Prepare Stinging Nettle Oil? Hair loss, rheumatism complaints, cell renewal and blood cleansing is also used as a myom reducer. A cup of water is dripped 5 drops, internally applied 2 times each day. It can be used externally by massaging the skin. It is applied to the scalp by friction. How To Prepare A Stinging Nettle Mask? For the first recipe, 2 glasses of water is boiled and 1 handful of dried or fresh stinging nettle is added. Boil for about 5-6 minutes. After stinging nettle water is heated, apply it to the hair or skin. After washing the hair with shampoo, it can be used as rinsing water or washing the skin. It can be used for washing the skin in the morning and evening and every 2 days in the hair. There are many different uses. Leaves, seeds, roots and stems can be used. 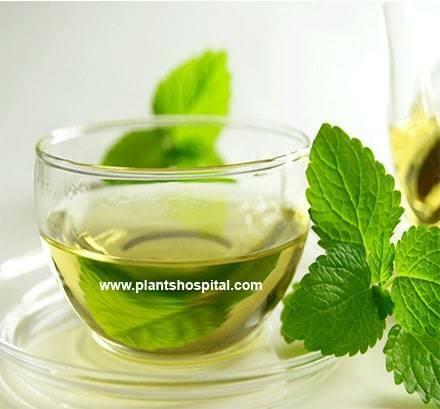 Stinging nettle tea is usually obtained with leaves against many diseases. It can also be used as stinging nettle oil and conditioner. The hair and body can be washed by bathing with the water obtained from stinging nettle boiled. It is possible to get rid of mouth odor by mouthwash. At the same time, it may be useful for the hair to return by preparing in the form of porridge. Does It Weaken Stinging Nettle? Stinging nettle can help you lose weight, although it is not enough to get rid of weight alone because it effectively removes unwanted metabolic waste from the body with its cleansing feature. Reducing waste stored in muscle tissue and lymphatic system ensures that our body works more efficiently. Since it is diuretic, it should not be neglected to drink plenty of water as well as to prevent dehydration of the body. Some experts recommend that you drink 3-4 cups of stinging nettle tea a day as it accelerates metabolism and prevents a natural appetite. What Are Damages Of Stinging Nettle? In case of excessive consumption can occur stomach discomfort, skin rashes and allergies. It is not recommended that people who use high blood pressure medication consume it without consulting their doctor. Should not be used against open wounds. It should not be consumed by diabetics (people with diabetes) who use drugs because they have a blood-lowering effect. It is not recommended that women consume stinging nettle tea during pregnancy and lactation periods. Stinging nettle can provide many health benefits when consumed correctly. It is especially possible to say that it removes hair and skin problems. It is a very good source of healing for patients with allergic diseases such as asthma and bronchitis. Important Notice: Before adding such a strong and comprehensive herbal remedy to your diet, you should definitely consult a doctor and make sure that you will not make on going treatments difficult. Also, in order to avoid the negative side effects of the plant, if other supplementary foods are taken, the dosage should be adjusted. For this, a specialist should be consulted and a herbal supplement plan should be made.